After consultation with a panel of highly respected judges, we’re delighted to reveal the IFSEC Global influencers 2018 – fire safety category. The process consisted of two stages. First, we invited nominations from the IFSEC Global audience and beyond. Then, a panel of judges, drawn from across the industries and barred from featuring in the list themselves, assigned points to each nomination based on the persuasiveness of the nomination, their research into the nominee and their own knowledge of the nominee’s contributions to their field. The judges were also permitted to submit nominations themselves, which were then scored by the other judges. Ultimately, ‘influence’ cannot be measured objectively, but each year we believe we’re making the process a bit more exhaustive – and we’ll do so again next year. Doubtless, there are industry figures whose absence from the list you might find baffling. But if you feel someone deserves recognition then we suggest that you nominate them next year! You can network with some of the influencers during a meet-and-greet session during IFSEC & FIREX International, 19-21 June 2018, ExCeL London – between 4-5pm on Wednesday 20 June in the ASIS Lounge. Scroll down for the top 10 influencers in the fire safety category and find out results of the other categories below. 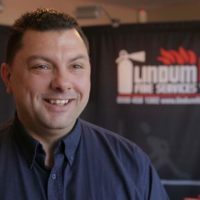 Tom is owner and managing director of Lincolnshire-based Lindum Fire Services, which has clients from Inverness to Cornwall. Other roles include Chairman of the Fire and Security Association, Director of British Fire Consortium, Council member of BAFE council and BSI committee member of six fire alarm standards. 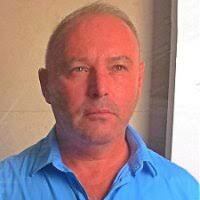 He sits on no fewer than nine British Standard Institute Technical committees and was heavily involved with the writing of the BS5839 series.Tom is a member of Working Group 5 at the Fire Industry Association. As chair of the organisation Robinson has been an influential voice in fire-safety debate. Established as a forum to foster the discussion of fire-related issues of interest to its membership the FSF brings together representatives from across the UK fire sector. Originally formed in 2011 as the Fire Sector Partnership, the Fire Sector Federation was established in June 2012 following a merger with the Federation of British Fire Organisations (FOBFO) in response to the Fire Futures review. Launched in 2010 by then Fire and Rescue Minister Bob Neill MP this strategic review of fire and rescue provision was designed to enable sector partners to shape the future direction of fire and rescue services in England. The FSF’s mission can be encapsulated as promoting horizontal integration, and challenging a prevailing ‘silo’ mentality in working practices by addressing both the built and natural environment, as well as fire and rescue service issues. 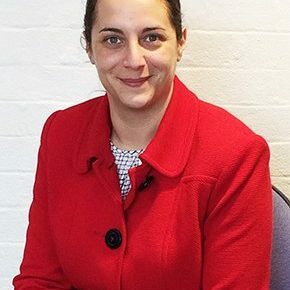 Hannah Mansell is Technical Manager for the British Woodworking Federation, Manager of BWF-CERTIFIRE, and chair of the Passive Fire Protection Forum. She has been a Trustee with the Children’s Burns Trust since 2015. But it’s as spokesperson for the Fire Door Safety Week campaign where she’s really made an impact on the media and therefore the general public beyond the fire industry – speaking on the Jeremy Vine Show on BBC Radio 2, among other prominent platforms. IFSEC Global interviewed Hannah shortly before Fire Door Safety Week 2017. Of the campaign’s driving purpose she said: “Fire doors are technically complex products and people overlook them for that fact; they’re simply not on people’s radar. So our job is to get out there and keep the message simple: your fire doors need to be properly tested and made, maintained, and of course, not left open. Fire Door Safety Week achieved 350 pieces of media coverage, including in the Daily Telegraph and the Mirror newspapers, and 16 broadcast items including on Radio 5 Live, LBC, BBC Radio Leeds and talkRADIO. “Fire Door Safety Week! A huge PR success and a fantastic way of promoting best practice in fire safety. Campaigned tirelessly once again to raise public awareness on fire safety issues, getting London Fire Brigade and the Govt’s Chief Fire Officer involved in the campaign, and working with them to conduct TV and radio interviews that reached more than 4.6 million viewers on just one day. Colin Todd formed C.S. Todd & Associates Ltd in 1982 after years of experience in risk management and fire protection engineering. His team includes both chartered engineers and fire safety professionals with local authority fire and rescue service experience. Consultants undertaking fire risk assessments are all listed on the IFE’s register of fire risk assessors. The practice offers consultancy services in all aspects of fire safety, including fire risk assessments, surveys and audits, fire safety design and management, fire engineering/fire safety strategies, specifications for fire protections systems such as sprinklers, fire detection and alarms and gaseous extinguishing systems, and fire training. The practice also conducts investigations into the suitability of existing fire protection systems and fire safety designs and acts as expert witnesses for contract disputes and litigation cases. Under Todd’s stewardship C.S. Todd & Associates Ltd has also been instrumental in educating responsible persons on their new-found legal role since the Regulatory Reform (Fire Safety) Order 2005, which placed the burden of responsibility for fire safety squarely on the shoulders of building owners or managers, was introduced. The practice is certificated by the National Security Inspectorate (NSI) under the recent UKAS accreditated scheme for companies that carry out fire risk assessments, BAFE SP 205. It was also the first consultancy practice to be registered with BAFE for the design and verification of fire detection and alarm systems under the SP203 scheme. Tom took over as Associate Director for the fire risk management division at Frankham Risk Management in 2016 after years of experience managing fire safety in corporate banking, social housing and a fire consultancy. Tom has extensive experience across a number of sectors including manufacturing, hospitality, universities, museums and residential housing for both private and social landlords. Tom sits on the FIA fire risk assessment council, is the residential lead on the Tall Buildings Fire Safety Network (TBFSN) and is previous chair of the technical committee of the National Social Housing Fire Safety Group (NSHFSG). 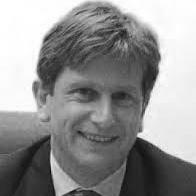 He has worked on a number of specialist interest groups including evacuation protocol in sheltered and specialised housing and the “temporary change to simultaneous evacuation strategy in purpose built blocks of flats” guidance. 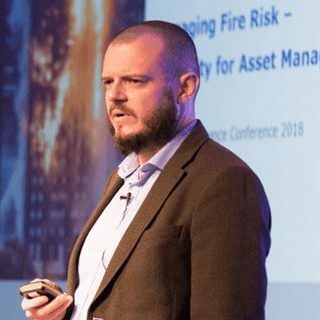 Tom is passionate about the implementation of strategic fire risk management in complex organisations with large diverse portfolios such as social housing, he actively participates as a speaker the AMIP, CAMIP, NHMF, TBFSN and CIH. Tom has been engaged by a number of the current G15 of housing associations to direct strategic fire risk management change and consultancy services around assurance. His team of leading fire safety consultants have recently worked to identify a pragmatic way to deliver higher levels of assurance in existing buildings and has been instrumental in delivering a pragmatic type 4 fire risk assessment programme in many of the country’s tallest residential blocks. Tom’s desire to improve competency and quality in contractors delivering fire safety work has seen a joint venture with Frankham risk management, Echelon, Pretium and Hyde Housing to create a procurement framework where quality, certification and competency is prioritised over cost. Under Tom’s direction Frankham Risk Management has achieved BAFE SP 205 certification for companies that carry out fire risk assessments and has established Frankham Risk Management as an industry leader in the provision of fire safety consultancy. 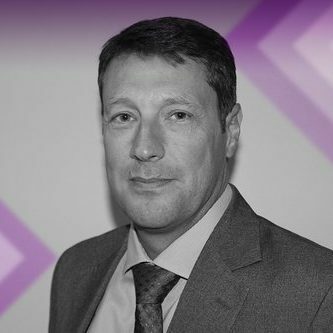 Describing himself as an engineer, fire strategist and writer Paul Bryant has set high standards in fire safety engineering including writing a number of British Standards covering many aspects of fire safety engineering as well as technical standards for the UK and insurance industry. He wrote British Standard Specification PAS 911 – Fire Strategies, which is now used for some of the most complex building designs around the world. This was followed up by his first book on Fire Strategies and two Kingfell guidance documents (KF912 and KF913). In 1995 he formed Kingfell, which has grown to a £5m ($8m) company, evolving concentrate on specialist and complex buildings. Kingfell has offices in London, Plovdiv, Bulgaria and Florida USA. Bryant is also developing the Key West Fire Academy. Before that he was Head of Fire Engineering for London Underground. Prior to LU, he worked for many years with the Loss Prevention Council. Paul has embarked on a PhD of holistic fire engineering. 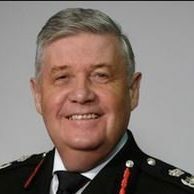 Dennis Davis is former HM Chief Inspector of Fire Services for Scotland, Chief Fire Officer for Cheshire and President of both the Institution of Fire Engineers and UK Chief Fire Officers Association. Currently he serves as Vice Chairman of the Fire Sector Federation and Vice President of the International Association of Fire and Rescue Services – CTIF. 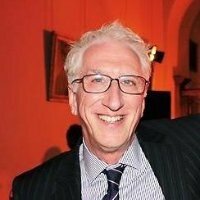 A qualified fire engineer, visiting professor and experienced operational commander in firefighting and rescue service delivery in the UK Dennis operates internationally, including participation in EU research, sharing and advising using his specialist knowledge. Sir Ken began his career as a firefighter in 1966 and served in a number of UK fire brigades. He was Chief Fire Officer of Dorset and later West Midlands Fire Service before becoming London’s Fire Commissioner in 2003, a role that ended when he was appointed the Government’s Chief Fire and Rescue Adviser for England based at the Department for Communities and Local Government in 2007. As Chief Fire and Rescue Adviser, a post he occupied until 2013, he was responsible for advising Ministers and senior officials on fire policy and providing advice during major emergencies, as well as around the 2012 London Olympics. In May 2013 Sir Ken published an efficiencies review of the 46 Fire and Rescue Authorities; Facing the Future, which was commissioned by the Government.He was also responsible for the enforcement of fire safety regulations in Crown Premises in England. He produced an independent report for the UK Government on fire and rescue services response to the widespread flooding in 2007 entitled Facing the Challenge. He was also tasked by the Secretary of State to undertake a review in the immediate aftermath of the fire in high rise flats at Lakanal House, London, 2009 in which 6 people died. He was appointed to sit on the independent expert advisory panel set up in the wake of the Grenfell tragedy. 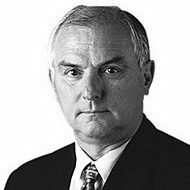 Sir Ken Knight also provides independent consultancy advice to public and private sector organisations. Sir Ken has also completed reviews of the fire and rescue services in Southern Ireland, Bermuda and Gibraltar and undertook a review of the national fire safety and civil defence arrangements in the Kurdish Region of Iraq at the request of the Kurdish Regional Government. Sir Ken is a Companion of the Chartered Management Institute and a Fellow of the Institution of Fire Engineers. He was a founder Trustee of the UK Firefighters Memorial Trust and a Past Master of the Worshipful Company of Firefighters, 1998. Her Majesty the Queen awarded Sir Ken the Queens’ Fire Service Medal in 1991 and he was Knighted in the Queen’s Birthday Honours in 2006 in recognition of his outstanding contribution to the fire and rescue service. Managing director of the FPA Jonathan O’Neill sits on a number of government and ministerial advisory bodies, including the Business and Community Safety Board, the Arson Control Forum, the Integrated Risk Management Advisory Board and the Operational Guidance Strategy Board. 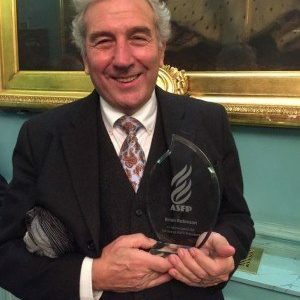 During 17 years in the role O’Neill has overseen the opening of a fire test facility to keep the organisation at the forefront of fire protection innovation and represented UK insurers on the Prevention Forum of Insurance Europe, sat on the Executive of the Fire Sector Federation and sat on the boards of BASEC, SSIAB and BAFE. He has also guided the FPA through two relocations and managed the RISC Authority research budget. Warren has been a leading authority on Fire Safety Law for the last 12 years. He has prosecuted for many of the Fire and Rescue Services under the Regulatory Reform (Fire Safety) Order 2005 (the Fire Safety Order) and defended a number of high profile cases. Spencer, who does criminal and civil litigation as well as fire safety, is an accredited Higher Courts Advocate in the Crown Court. He has been involved in more than 160 cases related to the Fire Safety Order, the key piece of legislation governing fire safety responsibilities, and has overseen prosecutions for eight fire and rescue services. In 2009 he was shortlisted for the Private Practice -Solicitor of the Year category of the annual Law Society Excellence Awards. Warren sits as a part-time Tribunal Judge and in 2015 was appointed as a Legally Qualified Chair in relation to Police Disciplinary Proceedings. He is also a former Assistant Coroner for Blackpool and Fylde. Warren runs a blog called ‘Fire Safety Law in the UK’ aimed at experts in the field of fire safety, sharing detailed information on prosecuting cases concerning fire safety legislation. He also runs a group on LinkedIn and has a Twitter account dedicated to fire safety law. In February 2017 Warren launched an online portal to bring together all of the documents, guidance and commentary relating to fire safety law. This includes case law, thought leadership articles and interpretation of the Fire Safety Order. The website provides free legal insight and commentary on fire safety legislation to all fire professionals. As part of the launch of the website Warren produced a three part article reviewing the last ten years of the Fire Safety Order and considering what the future may hold. He is currently developing a training course for fire risk assessors in relation to protecting their liability and improving their terms of retainer. “Gives back generously in his experience to both fire and rescue services and fire risk assessors/consultants with free seminars, presentations and frequent articles. 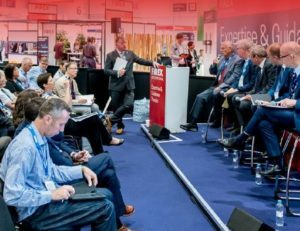 IFSEC Global influencers 2018: Fire safety After extensive consultation with a panel of judges from across the industry, we are delighted to reveal our roll call of the Top 50 influencers in security & fire 2018: fire safety.